Morgins, a chocolate box mountain village, nestled between pine forests and meadows on the Swiss French border, has been welcoming visitors for over a hundred years. It's a place to enjoy warm, friendly hospitality, combine sport with holiday and relaxation, to escape from it all. 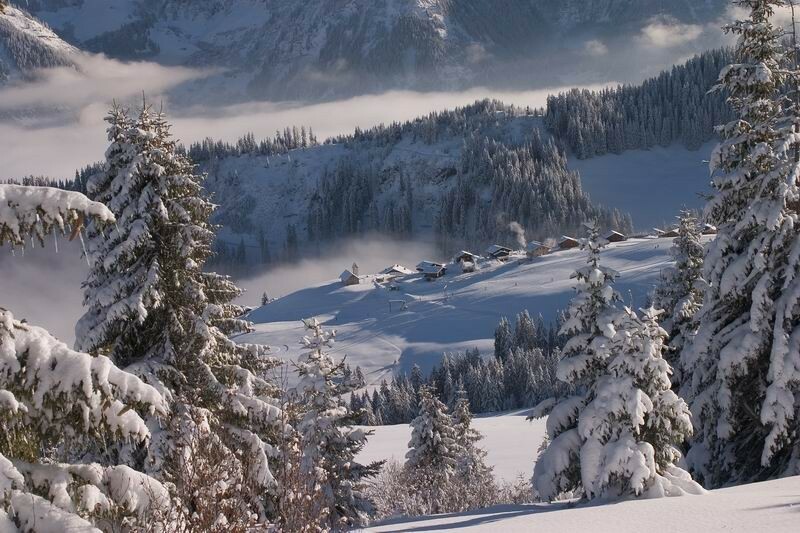 Situated in the Portes du Soleil ski area / Chablais, just a snow ball's throw from the Geneva Lake, Morgins offers the best of Swiss and French cultures. Ski and snowboard lessons. Restaurants, bars, shops, post office, gas station, banks, nightclub, and two cinemas.